Never get a credit card. Or any loan. This is a case to case basis. I'm not an expert here but I would advise against loaning or using a credit card for short term things. When I say short term, I mean things that you wouldn't use after two years. Phone, camera, gadgets, expensive wear. If you can't afford to get these using money in hand or bank, maybe you should start saving. Credit cards are convenient and lets you go cashless and some companies have perks. But it doesn't take a scientist to slip up on the bills and payments. Within months, you're drowning in interest for a pair of jeans you bought. Credit card makes online shopping seem very affordable, too. Don't fool yourself. If a card is necessary for essential (no, not just shopping) online transactions, get a refillable debit card instead. This way, you're spending money you actually have. Most Filipinos can't seem to get into the habit of saving up. New phone, new laptop, new shoes, new whatever. Must buy. Must have. I've been here before. I was into photography and would love to grab onto any new gadget I could spend my hands on. The infatuation with new stuff burns out after a while. I'm glad I have better control over my own purchase impulses. 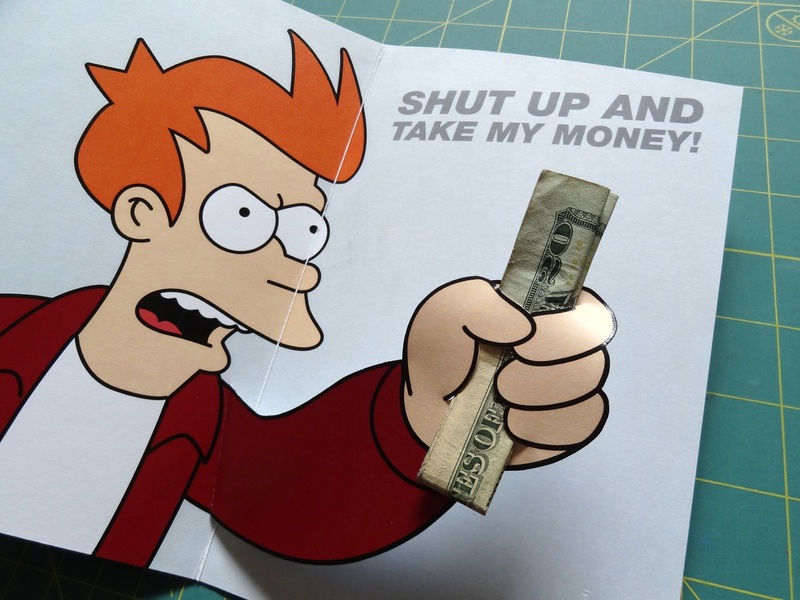 God, I'd be even poorer if I didnt. Make more room for your savings. Diligently track your expenses with some kind of app. Learn your spending patterns. See where you spend too much money on. You have an app for flirting installed but you don't have an app to track your finances? GTFO. After taking action to reduce your expenses, use your tracker again to gauge if your plan was effective in actually reducing expenses. If you're used to existing paycheck to paycheck, it will take a while to adjusting your lifestyle to live below your means. Start small, make it a habit, gradually reduce expenses, until you've got your desired ratio in place. Never ever live at your means. Always live below it and bank or invest the rest. To make myself think twice about spending, I try to count how many work hours or days are needed to make the money I'm about to spend. When I find that round trip tickets would require a couple of days working at the office, it just doesn't seem worth it at the moment. Let's say I earn P30,000 a month and I work 20 days a month, 9 hours a day. That would mean I earn P1500 a day or P166 an hour. Round trip tickets are usually P3000+ on regular price. Is it really worth two full days working your back off at the office just so you can travel to Manila and then spend even more money there? 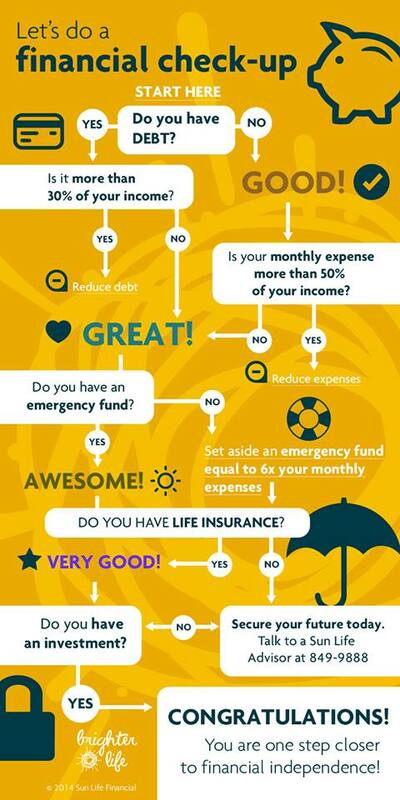 This simple infographic from Sunlife Philippines would be a great general guide to financial literacy and readiness. Where are you in it? It's really just money. Life shouldn't be just about money. It's sad that we have become so dependent on money that we have to have skills to manage it, gain more of it. That blows but it's the current reality right now and basic skills are needed. Saving up also has a social cost. You become boring, out of fashion, and outdated with toys. If those things are like air to your lungs, go ahead. Spend away. But it would be way better to live comfortably without debt, take care of yourself, and not be a burden to other people. Bonus: a friend who I rely on for practical and financial advise tipped me that owning a home isn't as wise as it seems to be.